Guruji gave a satsang and darshan last Friday and Saturday at Shree Peetha Nilaya. More than 30 people were there who had just come out of a week-long silent retreat with him, which many of the participants said was very powerful for them. On the spiritual path, does God give more free will to a soul when it starts on the spiritual journey, or does the soul have more free will as it advances on the spiritual journey? Free will would be defined as the ability to make a decision or choice that can have an effect as to how fast or slow you are to achieve the final goal of the soul. Guruji: You see, very often in the satsang, I encounter the same, and similar questions, about free will. You see, on the spiritual path, everything has only one free will - that's God will. He is the only one that is free. For one to have free will, one has to be free! If one is caught in Maya in all this illusion, desire, all the anger, the trends of life, how can one be free? One is not free. So where is the free will? If one is hanging so much on life, scared to lose it, where is the free will? Is it freedom? No, there is no freedom in it. That's why it is said that there is no free will, really, because the only free will is the will of God, which is free, because He is the only one which is free. which is beyond all the qualities that I just mentioned. The will which He gives to His creation is the will of loving Him, because that he can't do. He can't force you of loving. Because in Love, there is the freedom. That's why it is said that true love, when it awakes, one pains for the Beloved only. is free. When true love awakes, one knows nothing else but God. Coming to the question of the free will, and spirituality - the will is always there, but the will gets free when one goes deeper into the spiritual journey because it is in tune with the Will of God. 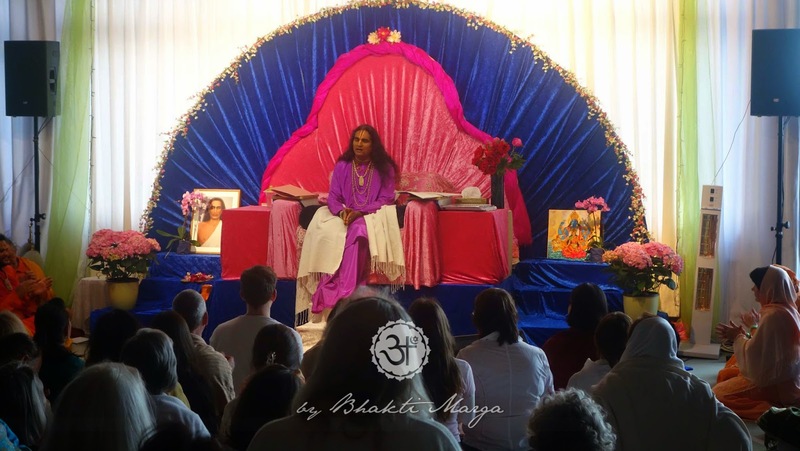 Sri Swami Vishwananda: After asking Padmavati and she was telling the story, I was wondering - why am I sitting here and talking? Because next week, if I would do a satsang again, no one would remember anything. It's useless, isn't it? For what? You tell me, I am asking you this question now. Especially the devotees, you know. For what? This is a question to all of you. 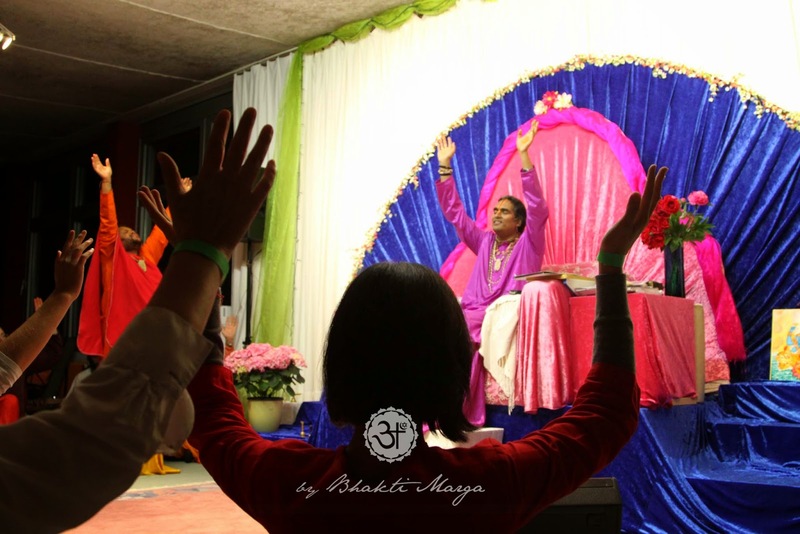 Sri Swami Vishwananda: That's a nice excuse! You are all happy eh? [laughing]. You see, if it was Pepe [Swami Vishwavijayananda], I would understand. If it was him, I would understand, because he has a mind like a goldfish. 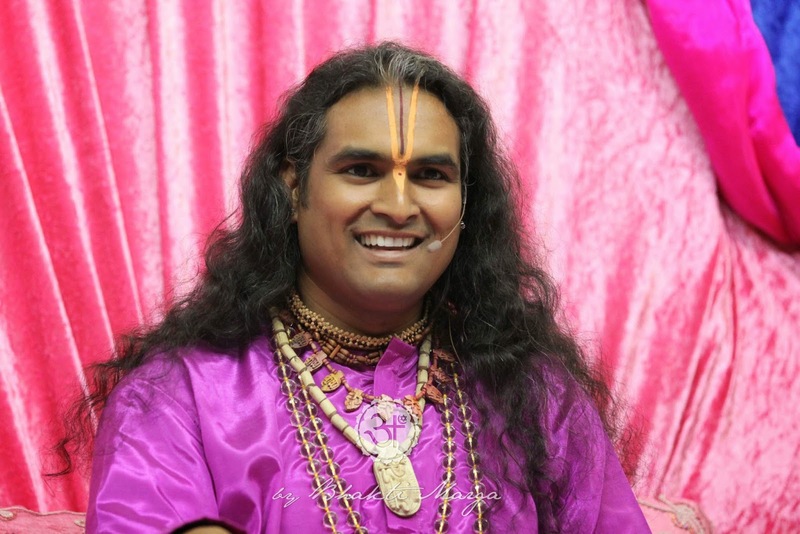 Sri Swami Vishwananda: In ten minutes he would forget about it. [Seeing someone going to give Swami Vishwavijayananda a mic] Ah, you want to talk. Swami Vishwavijayananda: We take a shower every day, isn't it? So, to clean our body. We need your words to clean our mind. Seeing so many people not being able to stand and tell the story was awkward and sad to go through in the moment, but by Guruji bringing up that point, it was helpful because it was a reminder of the preciousness of being with him and hearing his wisdom. This closeness to him is a once-in-lifetimes experience, and he is giving it to us for our benefit. The more sincere we can be towards learning from him and his teachings, the more benefit we can experience.